It is a very great delight to join you at the Young Icebreakers' 7th anniversary dinner. I have had the honour of attending six of your anniversary celebrations. Through these events, I have seen how much progress has been made. 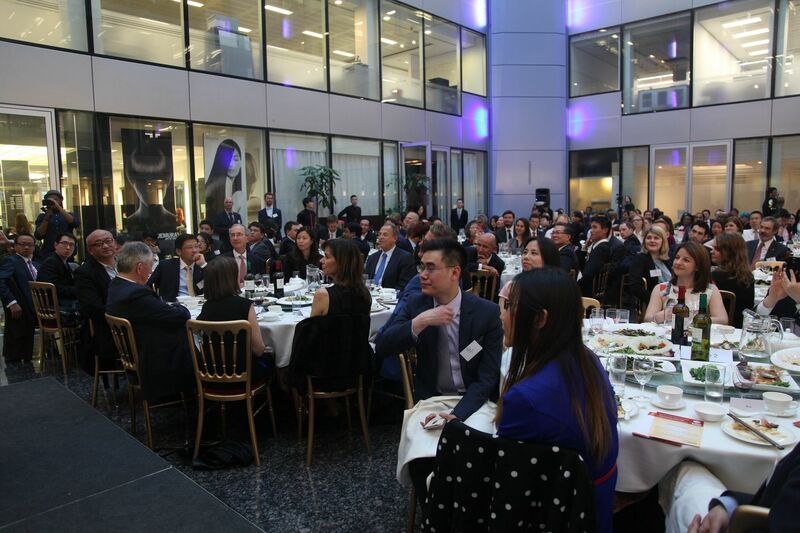 · and how you have developed a vital role in strengthening and advancing China-UK relations. Tonight, Chairman Perry gave me some wise advice about the theme for this evening. I have most willingly taken up his suggestion. The topic Chairman Perry suggested I talk to you about is a very frequently quoted phrase, namely "One Belt, One Road". As you may know, this is also a hot topic attracting world attention these days. Indeed, I can reveal to you that I am working on an article on this topic to be published in the Financial Times. The aim of the article is to shed more light on exactly the meaning and significance of "One Belt, One Road". Rather than giving you a preview of my article, I want to share my thoughts with you from a different angle. That is to tell you the story of "One Belt, One Road" by using six W's. The first "W" is what, that is, what is "One Belt, One Road"? "One Belt, One Road" is short for the Silk Road Economic Belt and the 21st Century Maritime Silk Road. The idea took its name from the historical "Silk Roads". This refers to the network of two-thousand-year-old multiple land and maritime trade and cultural routes that linked Asia, Europe and Africa. · Strengthen connectivity between Asian, European and African countries. · Build a regional economic cooperation structure that is open, inclusive, balanced and mutually beneficial. · Revive the maritime and overland routes of the ancient "Silk Roads"
· And the ultimate goal is to encourage growth and cooperation along the routes. Turning to the second "W": When was this initiative put forward? In September and October 2013, Chinese President Xi Jinping visited Central Asian and Southeast Asian countries. During the visits, President Xi called on the relevant countries to follow the creative and cooperative spirit of the ancient "Silk Roads" and to build the "Silk Road Economic Belt and the 21st Century Maritime Silk Road". It has been a year and a half since the initiative was first put forward. The response from the international community has been most gratifying. From around the world there have been expressions of enormous interest, great enthusiasm and strong participation. Now I come to the third "W": Where will the "One Belt, One Road" be built? "One Belt, One Road" will start from the dynamic East Asia. Then the routes will extend westward and weave through the vast Eurasian hinterland. This is where the greatest of growth potential lies. The routes will then reach the highly developed European economies in the west. · "One Belt, One Road" will link over 60 countries. · It will bring on board 4.4 billion people. · That equates to 63% of the world's population. · The combined GDP is over 21 trillion US dollars. · And that accounts for 29% of the world total. As cooperation between the participating countries deepens it will have a huge impact. "One Belt, One Road" will create the largest-ever and most extensive emerging economic belt ever seen in human history. That brings us to the fourth "W": Who may participate in this initiative? "One Belt, One Road" is open, flexible and inclusive. China welcomes the participation from all the countries along the routes. China also welcomes international organizations, multi-national companies, financial institutions and non-governmental organizations. Now we reach the fifth "W": Why was this initiative put forward? · It is basically aimed at cultivating new growth point for the world economy. · It will enable closer regional cooperation and better connectivity. · It will help the countries along the routes to move up the global supply chain, the industrial chain and the value chain. · And it will facilitate better exchange of ideas and mutual learning between different civilizations. · It is good for further expanding and deepening China's opening-up. · It will enhance the integration between Chinese and foreign market, investment, and energy and resources. · And it will help narrow the development gap between China's central and western region and the coastal region in the east. After covering the five words that begin with a "W", I am coming to the sixth and last "W". This time the word ends with a "W", that is, how do we build "One Belt, One Road"? As the initiator, China has been active in dialogue and consultations with the countries along the routes. We have been promoting mutually-beneficial cooperation and we have implemented a number of measures aimed at some early tangible results. President Xi Jinping visited Pakistan, Kazakhstan and Belarus recently. "One Belt, One Road" was one of the major subjects on the President's agenda. · The Asia Infrastructure Investment Bank, or AIIB. · And the Silk Road Fund. It is most encouraging how these organisations have drawn enthusiastic participation from many countries, including the UK. Clearly, "One Belt, One Road" is not China's solo performance. It is a grand symphony of all the countries along the routes. However, whenever something new comes up, some people tend to have different views about it. That is normal. What one should look out for is whether the views and comments are justified, fair and objective. Some people in the west often see Chinese actions from a negative perspective. Some of them say that "One Belt, One Road" is a power play by China on the geopolitical chess board. They claim that there is a strategic motive in it. 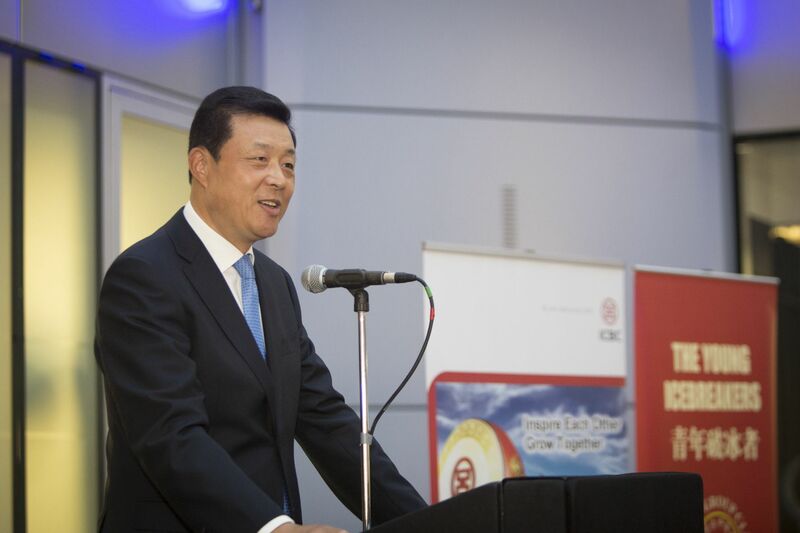 · It is, rather, a public good that China provides to the international community. · It is an initiative that has no military consideration. · It has nothing to do with any disputes. · And its only focus is on economic cooperation and people-to-people exchanges. · This initiative will release enormous potential for development. · This will become self evident once the countries along the routes become interconnected and engage in cooperation. · This will, in turn, give a strong push to global economic growth. · And this will deliver a region stabilised for world peace. · This initiative is not designed to replace existing regional cooperation mechanisms. · It is based on what is already in existence. · And it will encourage countries along the routes to dovetail their economic strategies and benefit from each other's strengths. "One Belt, One Road" is definitely not a "one man show" by China. The countries along the route will all have their say. It is not a monopoly of any sort. All participants are equal. And decisions will be made through consultations and actions will be taken jointly. The AIIB, for example, will follow international practice. It will learn from the theoretical as well as practical experience of existing multilateral financial institutions. And AIIB will be an improvement to, and supplement to, the established international economic and financial order. Still, there are some people who hold that "One Belt, One Road" is for China to export its redundant industrial capacity. Well, it is true that China is a global manufacturing power, and China has a clear advantage in capacity, technology and financial resources. In comparison, many of the countries along "One Belt, One Road" are pre-industrialized. There is a clear mutual complementarity between the two, and this complementarity will allow both to benefit from their cooperation. · We will foster the conservation culture. · This means we will emphasize sustainable and 'green' development. · We will strengthen cooperation in eco-conservation, bio-diversity and tackling climate change. · What China wants is a network of Silk Roads that is "green". Last, but not least, I want to emphasize that "One Belt, One Road" offers a precious opportunity for China-UK relations. For hundreds of years, Chinese silk, tea and porcelain travelled thousands of miles along the ancient Silk Roads to reach Britain. These products have found their way into the very heart of British culture. They are the very first goods marking the beginning of trade between our two countries. Today, "One Belt, One Road" initiative will open up even greater prospects for China-UK cooperation. 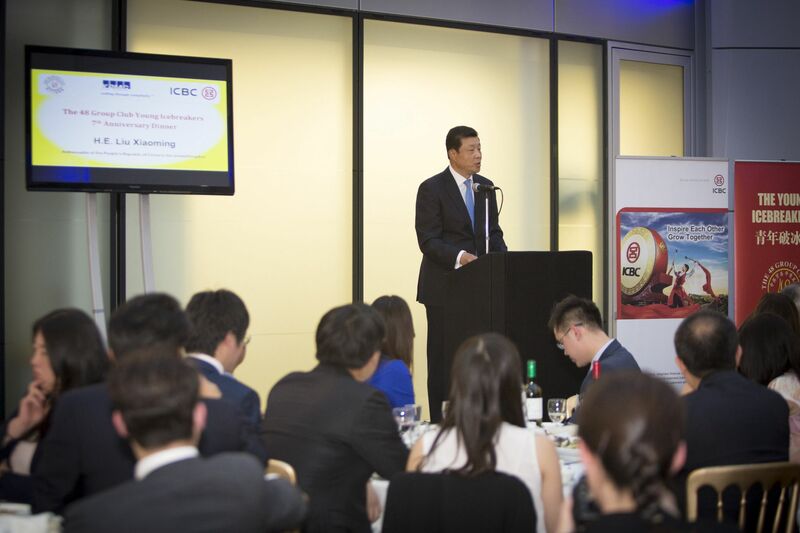 It will offer golden opportunities to the business communities of both China and the UK. Britain excels in talent, technology, finance, designing and the legal profession. This means that there is an important role that Britain can play in building "One Belt, One Road". The British people have already made a great start. Chinese people strongly commend the UK government's decision to take the lead of major western countries to join AIIB. This move by the UK gives me great confidence that "One Belt, One Road" will bring new vim and vigour into China-UK relations. · The audacity of the young. · And the pioneering spirit of icebreakers. These qualities are essential if you are to meet the challenges of our time. This is a "golden time" to further deepen China-UK relations. I wish you success in your career. I also hope you will take an active part in building "One Belt, One Road". Here is before you a wonderful opportunity to deliver an even more brilliant chapter of China-UK cooperation and friendship.